Jeff Rutenbeck, dean of American University’s School of Communication, emailed alumni this morning on the passing of Dotty Lynch, former CBS News political editor and AU faculty member. In closing, Rutenbeck shared details of the viewing and funeral services. Family and friends will gather tonight, Wednesday, August 13 from 5-8 pm at Gawler’s Funeral Home (5130 Wisconsin Ave, NW) and for mass on Thursday, August 14, at 11am at Shrine of the Most Blessed Sacrament (3630 Quesada St, NW) with a reception to follow at Matisse Restaurant (4934 Wisconsin Ave, NW). See the full note to alumni after the jump. I am so very sorry to report that our dear colleague and friend Dotty Lynch passed away on Sunday, August 10, 2014. Dotty has been an Executive in Residence in SOC since 2006 and was instrumental in developing the SOC/SPA M.A. in Political Communication, which launched in 2010. She served as co-director of the program until her retirement this summer. The 2012 election marked Dotty’s 22nd election cycle in congressional and presidential campaigns as a professional journalist and pollster. She was the CBS News senior political editor (1985-2005) and a member of the CBS News/New York Times polling consortium. One of her most memorable classes took dozens of students to New Hampshire to cover the 2008 and 2012 presidential primaries. Dotty and the faculty who co-taught the class used their myriad contacts to get students tickets to national debates, provide tours of professional media operations, and meet one-on-one with candidates and journalists covering the campaign. Dotty began her career in politics and journalism at NBC News in 1968 and joined the polling firm of Cambridge Survey Research in 1972, working on polling for the presidential campaigns of George McGovern and Jimmy Carter. In the 1980’s, she developed the concept of the gender gap and is one of the major authorities on the topic of women in politics. In 1983, she opened Lynch Research, a political polling firm where she was the first women pollster in a presidential campaign — the Gary Hart presidential race and the Mondale/Ferraro general election. She was a fellow at the JFK Institute of Politics at Harvard University in spring 2006, where she conducted a study group on the 2006 Midterm Elections. While at AU, she was a member of the CBS News Election Decision Desk and analyst for CBS Radio, and often appeared on C-Span, the News Hour with Jim Lehrer and NPR as well as CBS Radio. 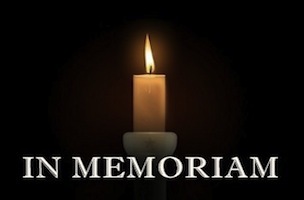 Many alumni have called our offices asking for information on how to pay respects, and therefore, I would like to pass along information about the viewing and funeral services. I encourage our community to attend and honor our dear friend. In celebration of Dotty’s life, on Wednesday, August 13 from 5-8 pm, family will be receiving friends at Gawler’s Funeral Home, 5130 Wisconsin Ave, NW, Wash, DC. On Thursday, August 14, at 11am, a funeral Mass will be held at Shrine of the Most Blessed Sacrament, 3630 Quesada St, NW, followed by a reception at Matisse Restaurant, 4934 Wisconsin Ave, NW. Internment of ashes will take place at a later date. In lieu of gifts, contributions may be made to the Little Sisters of the Poor, D.C., 4200 Harewood Rd. N.E., Washington, D.C. 20017. Please continue to keep Morgan and the rest of Dotty’s family in your thoughts and prayers.